Ah, nothing beats a lazy Sunday. I’ve been lazy all weekend actually and haven’t even left the house, despite yesterday being beautiful out. Today there is a chill in the air and yeah, it’s trying to snow again. But I’m sure this is the end of it. I could have taken a walk. I could have raked out the flower beds. Instead, I lounged on the sofa, watched TV, and read. No, I am not in China. All of this really doesn’t have anything to do with the photo above which is of a Buddha that sits on the windowsill in our living room. I am not a Buddhist, but I have always appreciated Asian art. 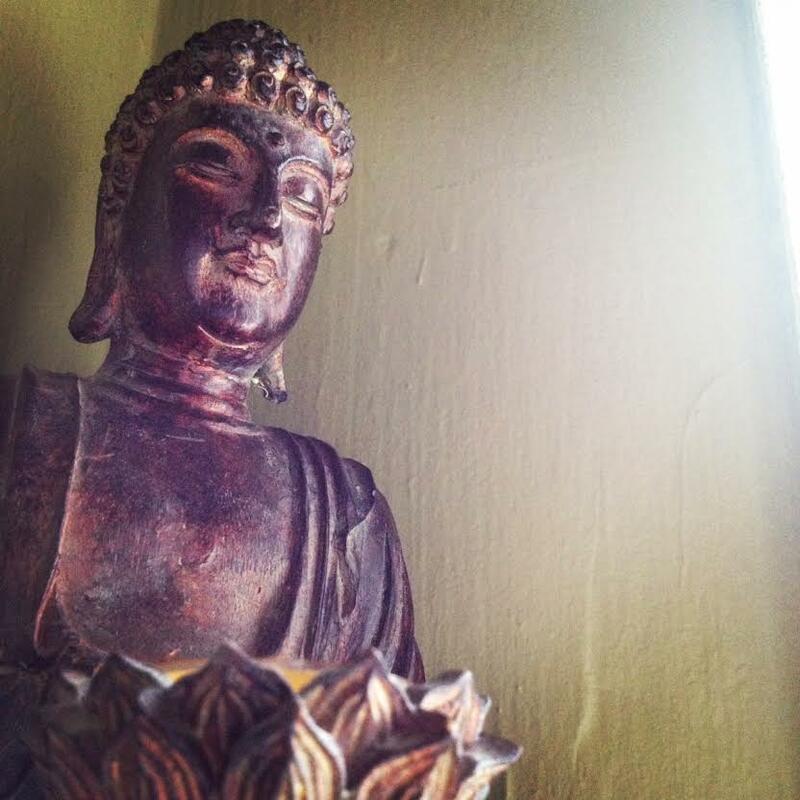 J does identify with Buddhism, so there are several statues in our home. I liked the way the light was hitting this one from the open window today, and having not left the house, I needed something to be my photo today. To add to this, I do not identify with any religious belief and it’s taken most of my life to accept that, and I’m more comfortable these days with saying that then I ever have been. I was raised Southern Baptist, and all joking aside, I never felt comfortable with organized religion. As I said, I am not Buddhist. I am not a Christian. I respect whatever those around me believe as long as they don’t preach to me; I won’t preach to them about my non-beliefs. So there… before this becomes a Soap Box Sunday, I’ll leave it at that. Ahem… and any followers of my blog out there who choose to leave rude comments on this post about religion, beware! I will delete them.